We're proud to have raised more than $700,000 for Hope for the Warriors, a nonprofit dedicated to restoring a sense of self, family and hope for post 9/11 veterans and military families. Efforts include in-store fundraisers, participation in the organization's annual Run for the Warriors, and hosting benefit events. 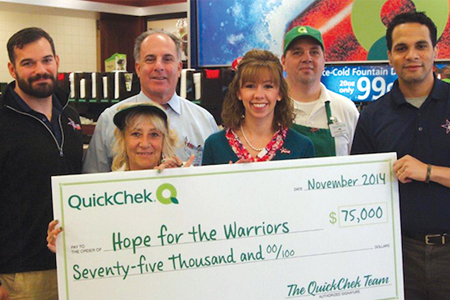 QuickChek enjoys a long history of giving back to the neighborhoods and communities we serve. 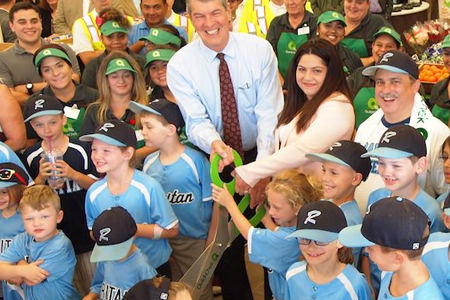 With each store opening, we donate to one of the many local organizations that help keep that community going. We support more than 145 youth sports groups statewide. Nobody's prouder than us about that. Several times a year, we give the gift of time and energy at the Community Food Bank of New Jersey and New York's Long Island Cares Food Bank, to prep thousands of boxes that are distributed to local food pantries. We also provide donations to these and other important community causes that help feed families in need. QuickChek is proud to be one of the areas Best Places to Work! With over 3,500 team members in more than 140 stores, we strive to create a positive experience and fun environment where core values are nurtured, hard work is rewarded and leadership is cultivated. Our employee turnover is the lowest in the industry – 50% lower, in fact. For over eight years, we've paid our Team Members well above minimum wage. Full-time Team Members receive tuition reimbursement. Part of each store’s profits are paid out in Team Member bonuses. Every Team Member meets the CEO or SVP, and has direct access to them 24/7. 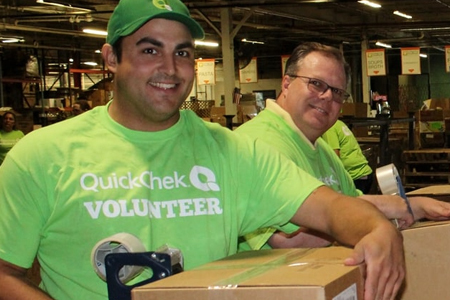 We've learned that when we make QuickChek a great place to work, our Team Members can focus delivering a great shopping experience to our customers. Time and again, they go above and beyond to help out. Watch these videos and see for yourself! It’s a phrase retailers like to use, but it's difficult to execute.